This article presents a detailed summary of the drug GMP warning letters issued in FY2018, as well as a comparison of trends since fiscal year 2013. A comprehensive GMP intelligence program includes evaluation of health authority enforcement actions, including FDA Forms 483, warning letters, seizures, recalls, and consent decree agreements. This allows manufacturers and sponsors to identify new trends in the focus of FDA inspectors and to act to address or justify similar situations at their own firms. Section 4.2 of ICH Q10, Pharmaceutical Quality System, specifies the “Monitoring of Internal and External Factors Impacting the Pharmaceutical Quality System,” including “Emerging regulations, guidance, and quality issues…”. Enforcement actions should be monitored as a component of quality issues mentioned in the Q10 guidance. Although the FDA is more transparent regarding enforcement actions than other health authorities, readers are encouraged to follow information published by Health Canada (Drug & Health Product Inspections and Inspection Tracker), Eudra GMDP reports of noncompliance, and WHO Notices of Concern. The data presented here for FY2018, ending Sept. 31, 2018, is based on drug GMP warning letters posted by the FDA no later than Jan. 1, 2019. The data for over-the-counter (OTC) products represent CY2018, also effective Jan. 1, 2019. The number will likely increase as the FDA resumes publication of warning letters after resolution of the partial government shutdown. Thus, the OTC numbers presented here are likely an underestimate. The term “compounding pharmacy” used here includes outsourcing facilities and is considered a separate category from drug manufacturers based on their legal foundation. These sites are all located in the United States, but they are not combined with data from U.S. drug manufacturing sites in this article. Outsourcing facilities were established by the FDA as entities under an amendment to the Food Drug & Cosmetic Act in November of 2013. The FDA published draft guidance describing how outsourcing facilities might comply with GMP regulations in December 2018. Type of manufacture (API, dosage form, API and dosage form, compounding pharmacy/outsourcing facility) and country associated with warning letters. Particular targets of warning letters issued this year, including OTC drug products, drug product manufacturers, data integrity, and contracted operations. Intervals between the inspection and enforcement actions, including issuance of a warning letter or import alert. 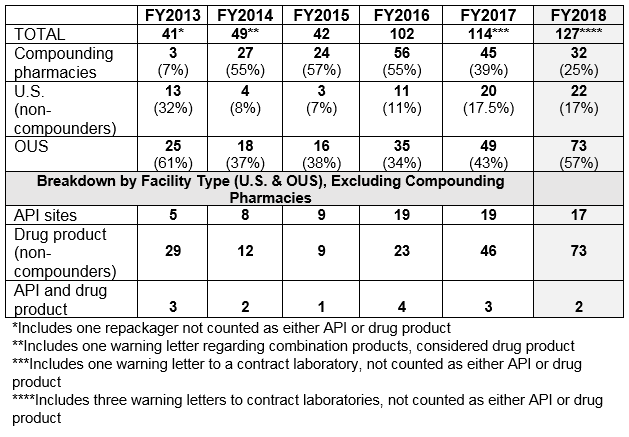 Table 1 shows that drug GMP warning letters more than doubled from FY2015 to FY2016 and increased again in 2017 and 2018, though not by as large a percentage. Table 1 also shows that while the FDA continues an intense focus on compounding pharmacies, the number of warning letters issued to these entities has decreased significantly for two years in a row. I doubt that this is because they have become more GMP compliant; more likely it is because many have decided to cease the compounding of sterile injectable drugs. FY2018 warning letters issued to API sites decreased slightly compared to FY2017. The number of warning letters issued to drug product sites increased over 50 percent from 47 in FY2017 to 73 in 2018. This is likely associated with the increase in warning letters issued to OTC manufacturers from 17 in CY2017 to 39 in CY2018. The FDA has continued a focus on homeopathic drug manufacturers and manufacturers of human cell and tissue products, with three and four warning letters, respectively, in 2018. The FDA continues to exercise enforcement discretion here and will intervene with enforcement actions when the public health is at risk. I expect letters to human cell and tissue firms to increase in FY2019 and beyond. And finally, while not addressed in a table or figure, the FDA continued to cite deficiencies in process validation. Specifically, the FDA cited the failure to implement an ongoing process monitoring program to ensure that the manufacturing process remains in a state of control. This is applicable to all types of drug manufacture, including oral and topical dosage forms as well as sterile injectables. 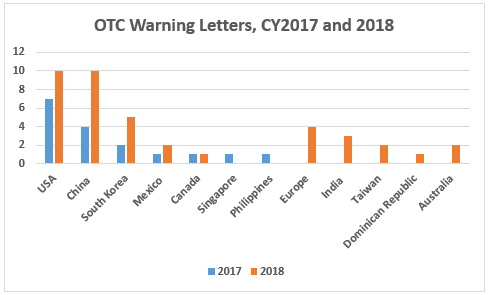 Table 2 shows the geographic distribution of warning letters issued outside the U.S. China received the largest number of warning letters issued to a single country in FY2018 and over the six-year period. India received the next highest number of warning letters, followed at a distance by Europe. Over the past four years, the number of warning letters to sites in China has steadily increased, while warning letters issued to sites in India have increased, then held steady. European countries, which include the U.K., are counted together. 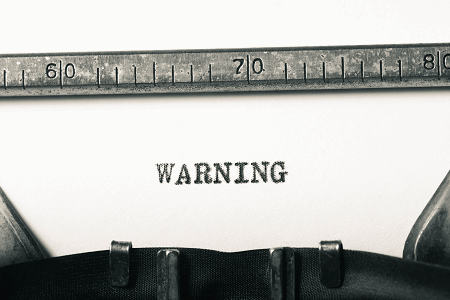 European countries with sites that have received warning letters over the six fiscal years include: Ireland, Spain, Czech Republic, Italy, Portugal, Denmark, Austria, Netherlands, Germany, Hungary, the U.K., and Switzerland. Figures 3 and 3A show that sites in Asia (Japan, China, India, Taiwan, and Hong Kong) account for approximately 71 percent of drug GMP warning letters issued outside the U.S., the same as the percentage over the six-year period FY2013-FY2018. In FY2018 and the six-year period FY2013-FY2018, sites in Europe received 12 percent and 16 percent of warning letters, respectively. With the Mutual Recognition Agreement between the U.S. and the EU, it will be interesting to see if the number of warning letters to European sites begins to decrease in FY2019. This agreement includes 20 health authorities in the EU effective Nov. 28, 2018, with the remaining EU authorities expected to be added by July 2019. 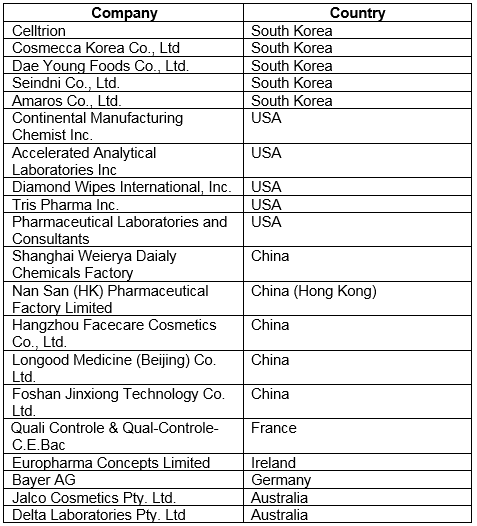 Table 2: Drug GMP Warning Letters Issued Regarding Sites Outside the U.S.
CY2018 included a dramatic focus on OTC manufacturers worldwide reminiscent of the focus on compounding pharmacies and outsourcing facilities that began in 2014. 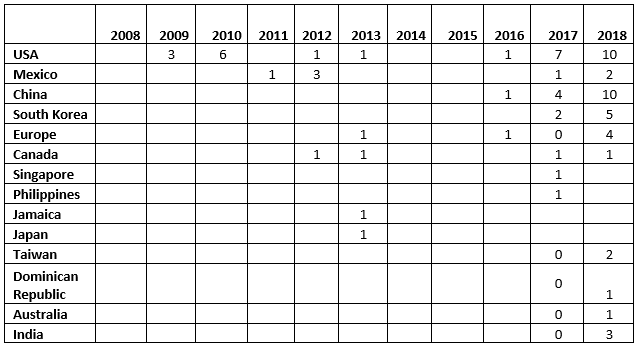 Table 3 and Figure 4 show the warning letter enforcement data on this group of manufacturers for the last 11 years. The dramatic changes began in CY2017 and increased again in CY2018. The numbers for CY2018 will likely increase beyond those reported here as additional warning letters issued in 2018 are posted in early 2019. Sites in China and the U.S. each received 10 warning letters, sites in South Korea received five, and sites in Europe received four. Six additional countries had sites that received either one, two, or three warning letters. Both China and South Korea saw more than twofold increases between CY2017 and 2018. The number of countries increased from seven in CY2017 to 10 in CY2018. FY2018 warning letters continued to focus on contracted activities, a practice that, in my opinion, will continue into the foreseeable future. At least 20 warning letters mention contracted activities, compared to at least 11 last year. Thus, 21 percent of warning letters issued to firms that were not compounding pharmacies were directly associated with contract manufacturing or testing. Five sites were located each in South Korea, China, and the U.S.; Europe had three sites and Australia had two, as shown in Table 4. Seventy-three warning letters were issued regarding sites outside the U.S., and 47 of these had associated import alerts for failure to comply with drug GMPs or refusal of an inspection. So, not only did 64 percent of firms that received warning letters have the expense associated with remediation of the warning letter itself, they are prevented from selling product from these sites in the U.S., excluding FDA-identified medically necessary products. In many cases, this likely provides an economic hardship. 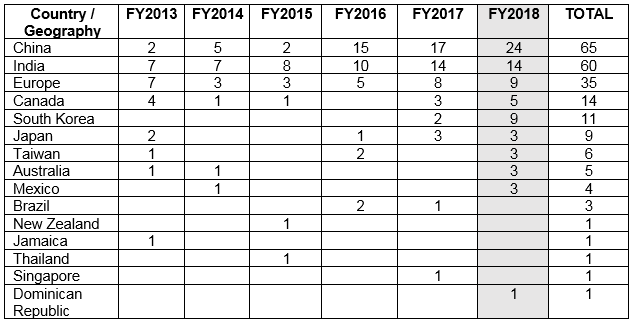 Table 5 shows the distribution of the import alerts associated with warning letters in FY2018. 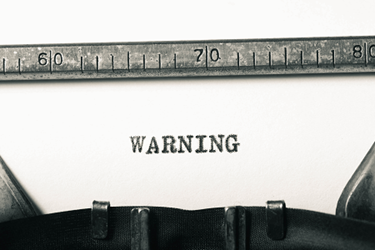 Taken together, China, India, and Korea account for 68 percent of the import alerts associated with warning letters. Each country likely had additional sites that were the subject of import alerts, but these were not associated with warning letters. Table 6 shows the number of warning letters issued both inside and outside the U.S. that included references to data management and data integrity. This group and analysis excludes those warning letters issued to compounding pharmacies. Warning letters referencing data integrity deficiencies continue to identify the predicate rule(s) to which firms did not adhere. Figure 5 provides a graphic representation of the data. 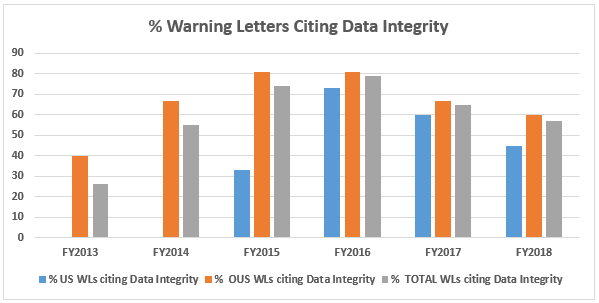 The percentages for both U.S. and OUS warning letters have consistently decreased between FY2016 and FY2018; perhaps we’ve turned the corner here, but we still have a long way to go to eliminate this problem. Table 7 and Figure 6 show the interval between inspection and issuance of a warning letter or issuance of an import alert for the most recent six fiscal years. The data for all three major categories shows a decrease in the time between inspections and warning letter issuance. The most significant change happened for the sites outside the U.S., which saw a decrease from 10.4 months in FY2016 to 8.0 months in FY2017. 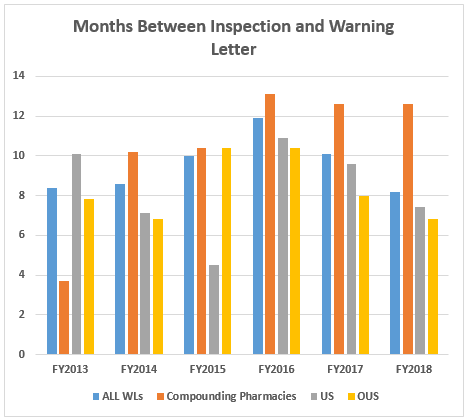 The time between inspection and warning letter issuance is longest for compounding pharmacies at 12.6 months, though this is about half a month shorter than in FY2016. The high point for this interval was reached in 2016. 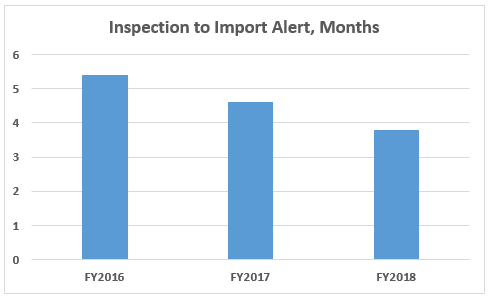 Table 8 and Figure 7 show that the interval between the inspection and imposition of an import alert decreased in FY2018 compared with FY2017. These data include only those associated with warning letters and may not be representative of import alert timing for firms that do not receive a warning letter. Though only three years are represented here, the time interval has consistently decreased. The import alerts addressed here include failure to follow GMPs (Import Alert 66-40) and refusal of inspection by a foreign establishment (Import Alert 99-32). FY2018 saw another year of increase in the number of drug GMP warning letters issued by the FDA, though it is not as dramatic a difference as in some previous years. Compounding pharmacies and outsourcing facilities continue to receive enforcement attention, though we seem to have officially turned the corner here with declining numbers and percentages of warning letters issued to this group for two consecutive years. We will continue to monitor this metric and see whether FY2019 shows a similar decline. Contract manufacturers and their sponsors were a focus again this year, and I would expect that to continue and expand in FY2019. Some sponsors will only take their responsibilities for selection and oversight of contract manufacturers seriously if they suffer an economic impact, such as a contract manufacturer that is subject to a serious enforcement action that results in a delay to product approval or a cessation of manufacturing to undertake necessary facility and equipment remediation. The breakaway category for warning letters in FY2018 was manufacturers of OTC drug products. This group, on the whole, appears to have failures in fundamental aspects of GMP, including the need for an effective quality unit, testing of incoming materials and components rather than simple reliance on the supplier’s certificate of analysis, testing of product prior to release to the market, and failure to have real-time data to support expiry labeling. China continues to lead as the country receiving the highest number of warning letters, as it did in FY2017. This year saw the addition of the Republic of (South) Korea to the countries whose companies received an increasing number of warning letters. I would expect this to continue into FY2019. A diminishing focus on compounding pharmacies and outsourcing facilities, though warning letters and recalls will continue in significant numbers. Continued focus on data integrity and data governance. Continued focus on OTC manufacturers because of the number of individuals using these products and the seemingly poor understanding of and compliance with GMPs as shown in this year’s warning letter collection. Contract manufacturers and laboratories and those that contract for their services will see continued attention by the FDA. There likely will be ongoing and increased attention in process validation, particularly ongoing process monitoring, as required in both the FDA and EMA validation guidance. Stem cell product manufacturers and manufacturers of human tissues and cellular products will see increasing enforcement actions based on their overall potential impact on public health and the FDA’s stated focus to improve risk-based enforcement in those areas. The FDA is exercising enforcement discretion until 2020, at which time it expects these firms to be operating under IND applications for therapies that are not approved under a BLA or NDA.